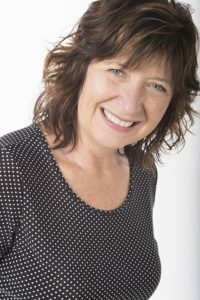 As Dean of the Faculty of Arts, Media and Design at Algonquin College, Robyn leads a team of academic administrators responsible for five departments within the faculty. The Faculty of Arts, Media and Design is unique in that it consists of the School of Media and Design, General Arts and Science, Academic Access Centre, the Experienced Worker Centre and Academic Partnerships. The School of Media and Design caters to those individuals who are seeking a creative career path. These programs include design, media communications and entertainment. Within the Faculty, Academic Upgrading and General Arts and Science provide necessary pathways for students who are embarking on their academic journey whether directly from high school or as a non-traditional student. Prior to assuming her current role, Robyn was the Academic Chair of Media Studies for four years and prior to that spent 18 years as professor and coordinator of the Advertising program in the School of Media and Design. Before joining Algonquin College in 1992, she spent 12 years in the design, media and communications industries including animation, graphic design, advertising and public relations. Robyn completed a MEd in Educational Studies – Leadership and Educational Improvement at the University of Alberta in spring 2014.